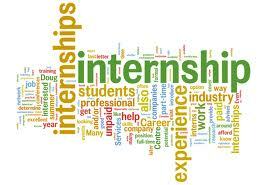 You are at:Home»Internships»Internship Experience»Internship at Deepesh Joshi and Associates Law Offices, Bhopal. Year of Study: Currently cleared 3rd year. Will be Sharing experience of Second year. Application procedure: You mail them your CV and then you meet them personal. Duration in weeks: 4 Weeks. No. of days/week: 7 days a week except second Saturday. Timings: Depending upon the work. Accommodation: Since it was in my hometown hence didn’t required any accommodation. First impression: Soft and Work Focused. First day: Try reaching before time. Main tasks (in detail): Depending day to day. Work environment: Friendly and Learnable. Biggest lessons: Understanding of District Court and State Consumer Commission. Next Article Invitation to connect with Grayscale!